The Witcher 3: Wild Hunt isn't the only big news to come out of CD Projekt Red's Summer Conference. The studio also announced that it's now accepting applications for a closed multiplayer beta test of The Witcher Adventure Game. The Witcher 3 Adventure Game isn't actually an "adventure" in the conventional videogame sense, but rather a board game, which CD Projekt announced earlier this year. Except now it's on your PC. So it's a board game videogame... adventure game. Anyway, the closed beta is scheduled to start soon, and while The Witcher Adventure Game will offer a single-player mode, the beta will be strictly multiplayer. Signups are being taken now at the newly-announced GOG Galaxy – read more about that here if you haven't already – and through that, it will support cross-platform play between GOG and Steam. Rather surprisingly in this day and age, it will not be a free-to-play game but will carry a conventional price tag instead, although what that price will be hasn't yet been revealed. However, anyone who preorders The Witcher 3: Wild Hunt through GOG will be given two keys granting access to the beta. 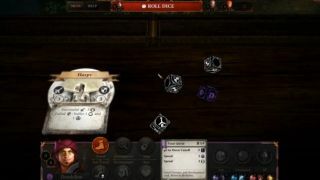 The Witcher Adventure Game is slated to launch later this year for the PC and Mac.